Yesterday Chicks on the Right posted an article listing the top twenty-five accomplishments of President Trump. That’s a pretty good year for someone who has had to fight the Democrats, the establishment Republicans and the mainstream media. The president of France says the Iran Nuclear Deal is no longer enough to contain Tehran’s aggressive behavior in the Middle East. Emmanuel Macron made the comments Wednesday on the sidelines of the U.N. General Assembly in New York. The French president said Iran recently increased pressure on its neighbors, and has conducted several ballistic missile tests. Macron went on to propose adding new components to the Nuclear Deal in order to contain Tehran’s de-stabilizing activities in the region. The first thing President Macron needs to realize is that there are no components that could be added to the Nuclear Deal that would cause Iran to stop its de-stabilizing activities in the region–the purpose of the deal was to provide cover for those activities. Iran is an Islamic Republic run by religious leaders. We need to remember that the Ottoman Empire, which was a Muslim Caliphate, existed until the early 1900’s. The one thing the Sunni and Shiite Muslims agree on is that they want to establish a Muslim Caliphate in the Middle East to replace the fallen Ottoman Empire. There are two principles in Islam that make it difficult for western nations to counter this effort–taqiyya and hudna. Taqiyya is the concept in Islamic law that translates as “deceit or dissimulation,” particularly toward infidels (Quran 3:28 and 16:106). Hudna is loosely defined as a ten-year truce, but historically was a peace treaty used to the advantage of Islam when it found itself in a state of temporary weakness. In other words, a break in which to rearm. Unfortunately, I seriously doubt that western nations are going to be able to prevent Iran from having full nuclear capabilities. Israel, acting alone, may be able to achieve this, but would be (at least publicly) condemned by the rest of the world for taking action against Iran. Probably the best thing western nations could do would be to immediately end the Iran Nuclear agreement and put full sanctions on Iran (with the understanding that Russia, China, North Korea, and a few other nations would ignore those sanctions). Until all of the world sees the danger of a nuclear Iran, a nuclear Iran is not only possible–it is likely. Meanwhile, enemies of the United States can use Iran as a weapon to keep America involved in a never-ending military adventure in the Middle East. 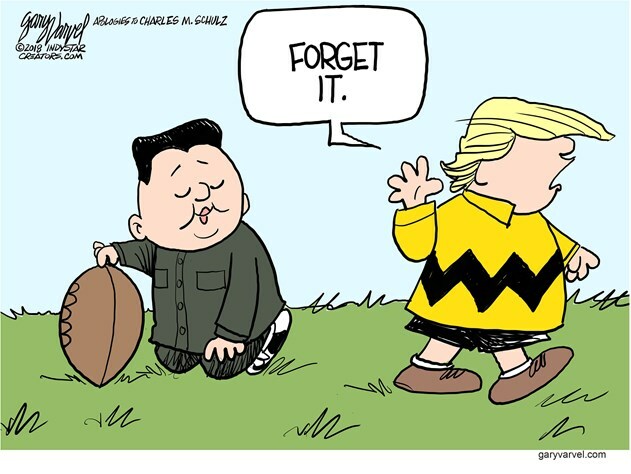 Joel C. Rosenberg posted an article on his blog yesterday detailing the history behind the current crisis with North Korea. The article asks the question, “How did we get to the point that Pyongyang may have 60 warheads?” That is certainly a very valid question. Unfortunately, the North Korean model was used by President Obama as the template for the Iran nuclear deal. President Obama chose to overlook the fact that the North Korean model was a failure. America does not want war, but we don’t want to be nuked by a third world tin-horn dictator either. It is unfortunate that Iran and North Korea have been allowed to progress as far as they have on their nuclear programs. We also need to understand that Russia and China are not innocent bystanders in this situation–both countries are not unhappy when America is put at risk. At this time we need to unite as a people behind a strong President. Otherwise, there is a good chance that this situation will escalate in the wrong direction very quickly. Peace in our time is a wonderful idea. It would be nice if we could someday achieve it. However, I am not optimistic. There will always be bullies, people who sacrifice principles for power, the dishonest, the greedy, etc. These people cannot be dealt with peacefully. When people with these character traits are the leaders of countries, peace is not possible. Unfortunately, not all of our leaders understand that principle. On Tuesday The Daily Caller posted an article about the deal reached between North Korea and former President Clinton that promised that North Korea would never develop nuclear weapons. We can see how well that deal worked out. President Obama negotiated a similar deal with Iran. That deal is following in the same direction as the deal with North Korea. North Korea now has an intercontinental ballistic missile that can range most of the continental U.S., and a new Defense Intelligence Agency assessment suggests that North Korea has successfully miniaturized nuclear warheads for its missiles. The North is, according to a recent defense intelligence report, expected to be able to field a reliable, nuclear-armed ICBM as early as next year. I agree that there would be staggering losses on both sides if war broke out, but did it occur to President Clinton that those losses would increase exponentially if North Korea went ahead with their nuclear program? As Ronald Reagan used to say, “Trust, but verify.” No one verified, and here we are. I have no idea how this is going to turn out, but I am truly glad that Donald Trump is in the White House and not someone who is unwilling to confront a bully. This may well get ugly, but it is becoming obvious that in this situation, there is no diplomatic situation. Townhall.com posted an article today about the threat of North Korean missiles. However, in the midst of this unsettling news, there is some good news. At least Hawaii is safe. But although there are questions about whether we can fully protect the mainland, Hawaii, the most vulnerable state to Korean attack, is well protected by America’s missile defense system. Early this year, a new missile-defense system in the state destroyed a target missile, proving that the area will be well-secured in the event of a nuclear attack. The United States has had a successful test of its own recently. In late May, the U.S. Missile Defense Agency announced it had successfully intercepted an intercontinental ballistic missile during the first test of its updated ground-based intercept system. The missile was launched from the Ronald Reagan Ballistic Missile Defense Test Site on Kwajalein Atoll in the Marshall Islands. The intercept, launched from Vandenberg Air Force Base in California, collided with the missile an hour later over the Pacific Ocean. The system had gone 9-for-17 in tests from 1999 through 2014 but had not tested an intercept since. It was the first successful test since 2014 and the first time the intercept had worked with no pre-programmed information on the location of the target – a true blind seek-and-destroy mission. How completely we can protect mainland America depends on how many nuclear missiles the North Koreans have. In Israel, the Iron Dome has protected the country from numerous rocket attacks. I am not sure how useful the Iron Dome would be in the case of an ICBM attack. However, the most recent intercept test does show that we do have the capacity to protect ourselves. The “Mutually Assured Destruction” (MAD) policy used with Russia during the Cold War does not apply to today’s tyrants. Iran believes it can hasten the coming of the Mahdi by creating chaos, and the North Korean leader is not a rational person. Our best strategy is to be able to shoot down anything that comes our way before it gets here. We also need to understand that America has very few allies in the world who would be willing to help with our defense. (And those who would be willing to help us are dealing with serious issues regarding their own defenses). It is time to acknowledge that we can no longer kick the can down the road. It also might be a good time to make sure our defenses are up and running to protect all areas of the country. WCPO in Cincinnati is reporting today that Otto Warmbier has died. Otto Warmbier was the young man that the North Koreans released to the United States last week. Earlier, doctors treating Warmbier had said he suffered “severe neurological injury” and that he was in a state of “unresponsive wakefulness.” North Korean officials had claimed Warmbier contracted botulism and never woke up after taking a sleeping pill. Doctors in Cincinnati said he showed no signs of botulism when he arrived here last week, though they couldn’t say exactly what caused the cardiac or respiratory arrest that led to his unresponsive condition. I suspect that he was sent back to America because the North Koreans realized he was close to death and wanted to make sure he didn’t die in North Korea. My heart goes out to his parents. This was not an acceptable conclusion to his ordeal. It is my hope that whatever the reaction to this by the Trump Administration, that reaction will cause other countries to reconsider how they treat Americans. In newly released nighttime photos from NASA, the disastrous economics effects of socialism can be clearly seen. 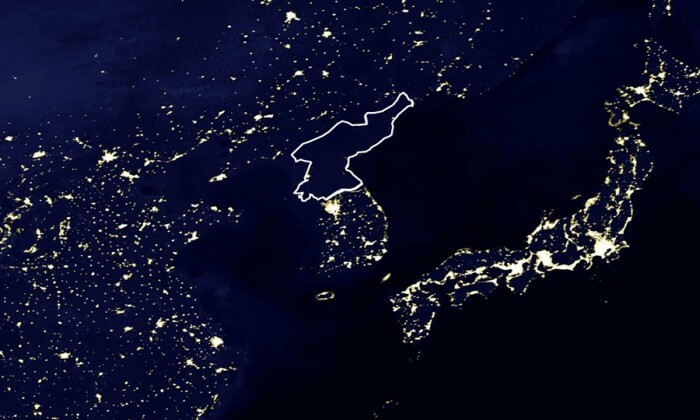 Causes: North Korea’s stifling government control yields power generation and per-person economic activity that is less than 10% of that in South Korea. Still think socialism is “good on paper”? If we lived in a world of perfect people, socialism would work. Unfortunately, we live in a world of flawed people–all flawed in different ways. Socialism was tried by the early settlers of America. The Puritans instituted a form of socialism–they abolished private property and stated that all property would be held in common. Half the colonists died of starvation. At that point, private property rights were restored, and each man farmed his own land. As a result of the decision to restore private property rights, more food was produced, and fewer people faced starvation. Americans can learn from their own history as well as the history of other countries. Socialism is a wonderful utopian idea that does not work. It’s really that simple. EMP Commission and DOD, DHS, DOE, NAS all report that the electric infrastructure is highly vulnerable to a man-made or naturally occurring EMP event. o The consequences of an EMP event can be catastrophic. An EMP incident is likely to occur at some time in the future. This is one item Congress should actually be spending money on. An EMP can be a naturally occurring event caused by solar activity or it can be caused by a nuclear explosion above the earth at a certain atmosphere. This is a subject that needs to come up during the Town Hall meetings Congress is holding during its August recess. Today’s Los Angeles Times posted a story about a North Korean ship passing through the Panama Canal on route home from Cuba found to be carrying missile equipment. Panama President Ricardo Martinelli has released details of the discovery to the Panamanian media. He has also posted pictures on his Twitter account. 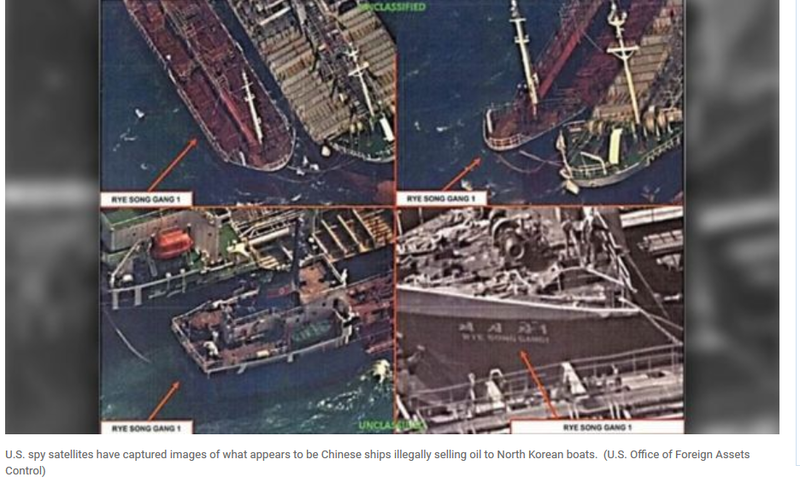 If the shipment proves to be missiles or other arms, it would likely constitute a violation of United Nations sanctions against North Korea that prohibit the importation of conventional weapons and items that could be used to develop nuclear weapons and missiles. The sanctions against the hermit-like communist country have been in place since 2006, and were strengthened by the U.N. Security Council in March after the North Koreans announced a nuclear test in Febraury. This episode shows that the United Nations sanctions against North Korea are not really working. In both Cuba and North Korea, the average citizen lives in conditions those of us who live in free countries can’t even imagine. Letting their governments continue to increase their weaponry does no one any good–either the citizens of their countries or the rest of the world. Recently Fox News reporter James Rosen had his privacy seriously invaded by the Obama Administration because he leaked some information on North Korea (see rightwinggranny.com). Well, evidently the Obama Administration takes some leaks more seriously than others. Yesterday McClatchy News reported that the Obama Administration has revealed plans for a secret Israeli military base. I understand the need for basic information during the bidding process, but this is ridiculous. The Obama Administration previously leaked information about the Stuxnet Virus that slowed down Iran’s nuclear program (see rightwinggranny.com). That information was also considered classified by Israel. There seems to be a double standard in the Obama Administration on leaking classified information.